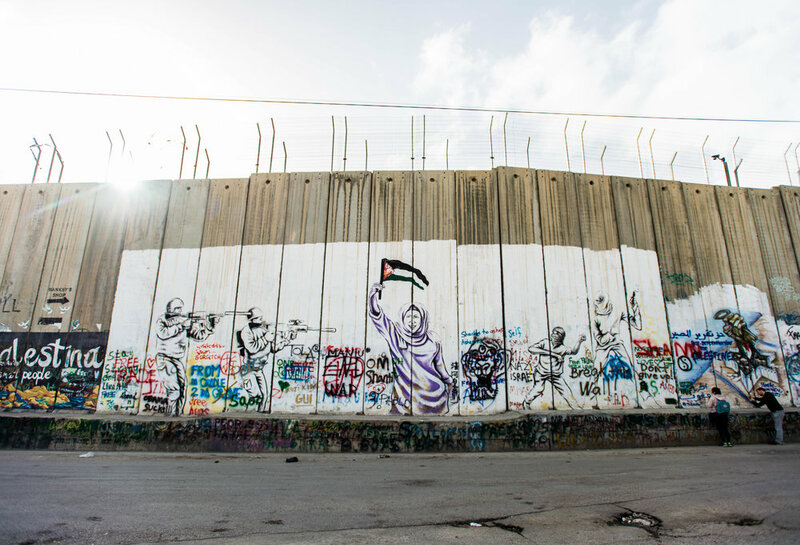 The wall that divides Israel and the West Bank in Bethlehem. Boys walk through the Old City Hebron Market in H1. I'd been traveling the Middle East for two months now. By this time I knew it was completely available to me to travel through the West Bank as a tourist- I wasn't breaking any laws. I was curious to what life was like for the Palestinian people living behind the wall. I had visited various parts of Israel so now the West Bank was my next venture. 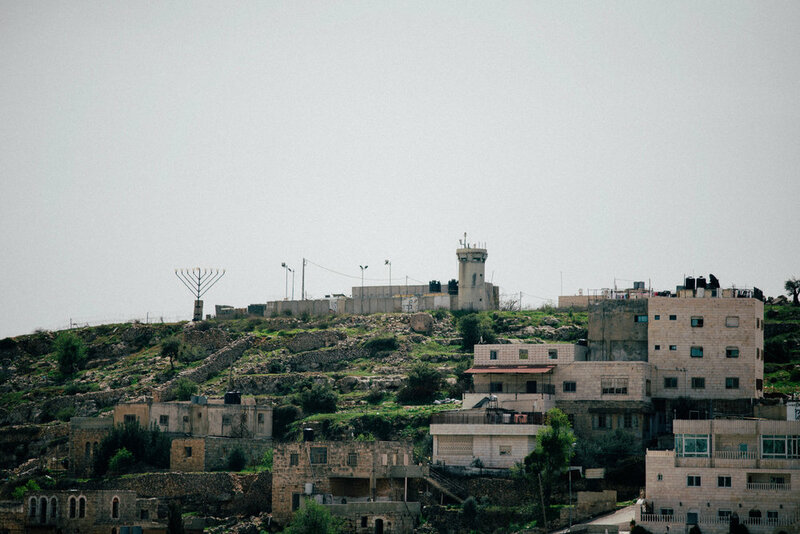 I decided to head down to Hebron, a city located in the Southern West Bank. I had visited Bethlehem, Jericho, Ramallah and Nablus, all well known cities in the West Bank. Hebron is the largest city in the West Bank, and the second largest of the Palestinian territories after Gaza. It has a population of 215,452 Palestinians (since 2016), and between 500 and 850 Jewish settlers concentrated in and around the old quarter. In 1997 the Hebron Protocol divided the city into two sectors: H1 which is controlled by the Palestinian Authority and H2 (roughly 20% of the city) under Israeli control. Jewish settlers have their own governing municipal body (the Committee of the Jewish Community of Hebron) which means they are not required to follow Palestinian law. The occupied zones of the West Bank hold settlements where many Orthodox and Hasidic Jewish people relocate to. The occupied zones, H2, allow for settlers to have their homes on the tops of the hills over looking the Palestinian sectors- a strategic move made by the IDF in case of uprisings and clashes. A young Palestinian boy poses for a portrait in the occupied H2 zone where Palestinians live near the Ibrahimi Mosque as refugees. Jews, Christians, and Muslims all honour the city of Hebron for its association with Abraham. It includes traditional burial sites of biblical Patriarchs and Matriarchs, within the Cave of the Patriarchs and is known by Muslims as the Sanctuary of Abraham or the Ibrahimi Mosque. Judaism ranks Hebron as the second-holiest city after Jerusalem, while Islam regards it as one of the four holy cities. Hebron is a busy hub of the West Bank trade. It generates a third of the area's gross domestic product, largely due to the sale of limestone from quarries in the area. It has a local reputation for its grapes, figs, limestone, pottery workshops and glassblowing factories, and is the location of the major dairy-product manufacturer, al-Juneidi. The old city of Hebron features narrow, winding streets, flat-roofed stone houses, and old bazaars. Laila Hasan, mother of 6 children she runs the market in the Old City for the Women in Hebron cooperative. I made my way down to Hebron via microbus, van Taxi's that allow up to eight people to fit inside. I was going down to meet with a woman named Laila Hasan. Laila works with Women in Hebron a nonprofit fair trade cooperative company run by women under the Idna Cooperative Association for Embroidery and Handicrafts. Idna is a mid-sized Palestinian city of around 25,000 people, located in the southwest of Hebron. 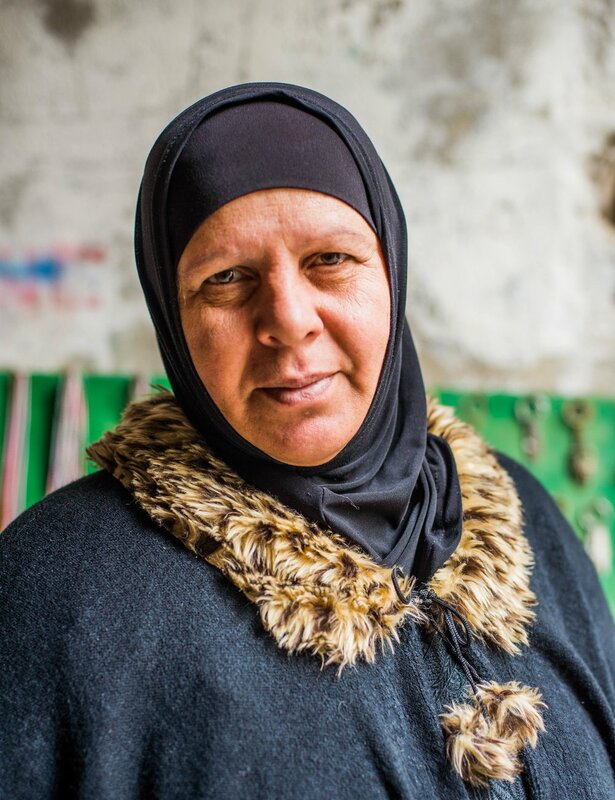 Women in Hebron was created to provide women the ability to support themselves and their families by producing and selling Palestinian handicrafts. The cooperative started in 2005 with Nawal Slemiah, co-founder and co-director of WIH, selling items in the market. Since 2005, Women in Hebron has grown from a small table to a permanent shop in the Old City. It is the only cooperative run solely by women in the entire market. 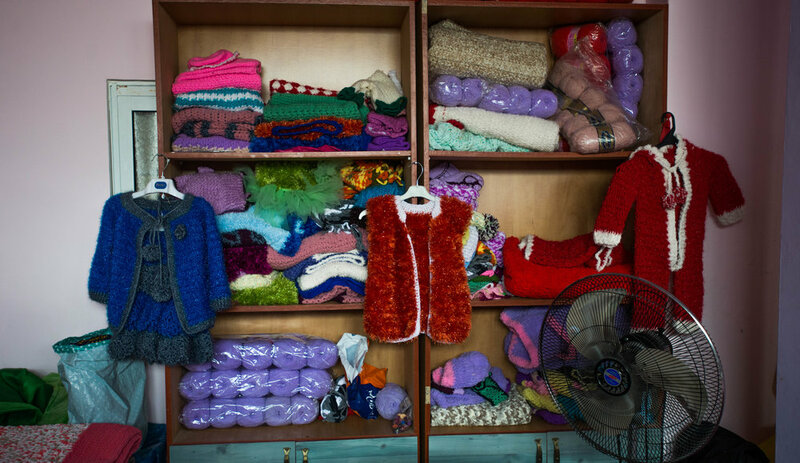 As a result of their handicraft sales the Idna Cooperative Association was able to open a small community center in the village of Idna, where members of the association can gather together to do their work, take part in educational programs, and socialize with other women. There are one hundred and fifty women who produce the items that are sold. 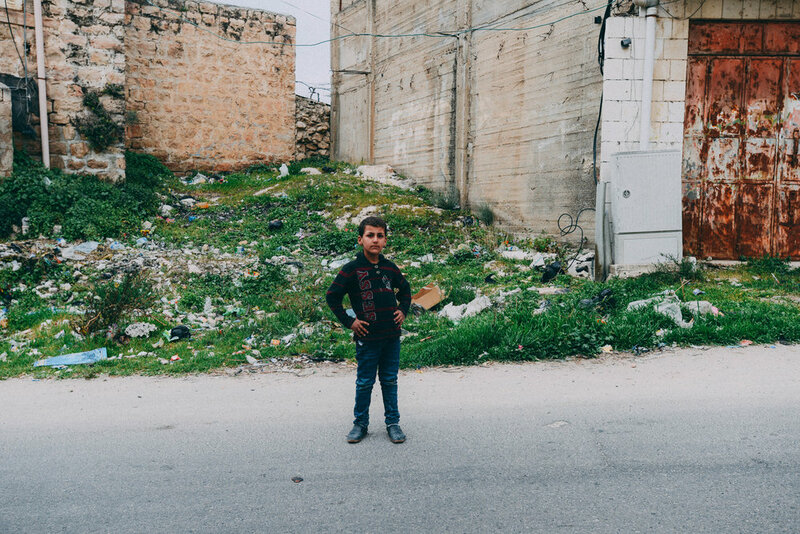 They come from across the Hebron district from eight cities and villages. The proceeds from sales provide themselves and their families with additional income that could not otherwise be obtained through part-time employment. They also provide lunches and tours to any visitors interested in learning more about Idna, the cooperative and the women behind it. Their work is based on the idea that developing Palestinian handicrafts is more than just an income-generating project, it is an act of honouring the role of women in their society. Palestinian women prepare lunch for tourists in the Women in Hebron cooperative in Idna, a city near Hebron. A Palestinian man peruses through his items in his shop a little down aways from the Women in Hebron cooperative table in the Old City of Hebron market. Traditional carpets lay on the floor of the Women in Hebron cooperative in Idna. The women of the cooperative pass down their skills from their previous generations to continue the traditional way of making their handicrafts. Traditional clothing for young children made by the members of the Women in Hebron cooperative hang in Idna. European tourists visit the cooperative to learn more about the conflict and the women behind the handicrafts. Some of the crafts made by the cooperative are set out on the table in the Old City of Hebron market in H1.